Sami Yusuf was one of the first Nasheed artists to enter the world of modern Islamic music. Al-Mu’allim, Allah-Hu and Hasbi-Rabi are just some of his greatest hits. These were fantastic songs, but there’s one problem… they were released years ago. It’s good news for Sami Yusuf fans. The artist has just released a new song, and it sounds like it’s going to be a huge hit! Co-written by Will Knox, Shadowless is a deep track with powerful lyrics to keep you pondering. The meaning is open to interpretation, and so understanding this track requires deep thinking. There are several theories on the track’s meaning, but some ideas seem more popular than others. The lyrics could be about Allah speaking to his servants. ” O you who believe! Turn to Allah with sincere repentance! It may be that your Lord will remit from you your sins, and admit you into Gardens under which rivers flow.” (Quran 66:8). What is meant by shadowless? Allah calls himself the light in the Quran, so the part of the chorus that says ‘I shine…’ seems to be a good fit. A shadow can only form if light touches something or someone, and Allah is shining. Therefore this may imply that the light of Allah is not reaching people who deny. 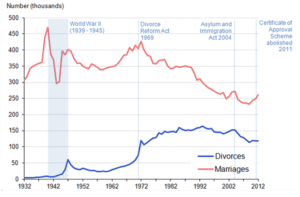 We’ve seen a huge change in marriage trends over the past 50 years. Less people are getting married, and more couple are getting divorced. With complicated relationships increasing, it’s no surprise that this topic would be incorporated into songs. Shadowless could be about two lovers speaking. It seems one partner is paying less attention to the relationship. The one singing is ready to forgive their love and make the relationship work. Many people on this earth are chasing the wordly life i.e. the dunya, and therefore too busy to pray or reflect about why they are here. The character singing this song could be a righteous person, who is calling people to Islam but finding they are too busy to pay attention. Do you agree with any of the theories above? or do you have another view? Feel free to leave your comments in the comment box at the end of this review. There is no music video at present, but an official lyrics video has been made. Fun Observation: At 1:30 the chorus kicks in and we see a man in the ocean, on a boat. Shadows are usually difficult to see on water, he is therefore shadowless. Try Amazon Music and listen to ‘Shadowless’ on your phone. Lyrics to ‘Shadowless’ by Sami Yusuf, with analysis below. This verse in the song could imply people are turning away from Allah. It’s not the best idea, let’s try hard to keep remembering of Allah. Songs that keep you thinking are my favourite kind – I just wish the meaning was a little clearer. Please leave your thoughts in the comment box below.